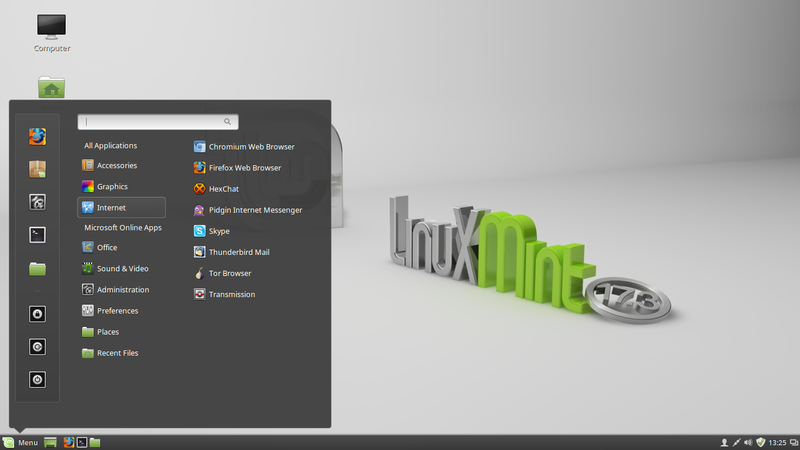 1) Can I easily switch to ubuntu or linux mint? Yes, the move is similar to switching to mac and even easier than moving from Windows XP to Windows 7 or 8 and 10. The open source desktop is logical and easy to find everything. 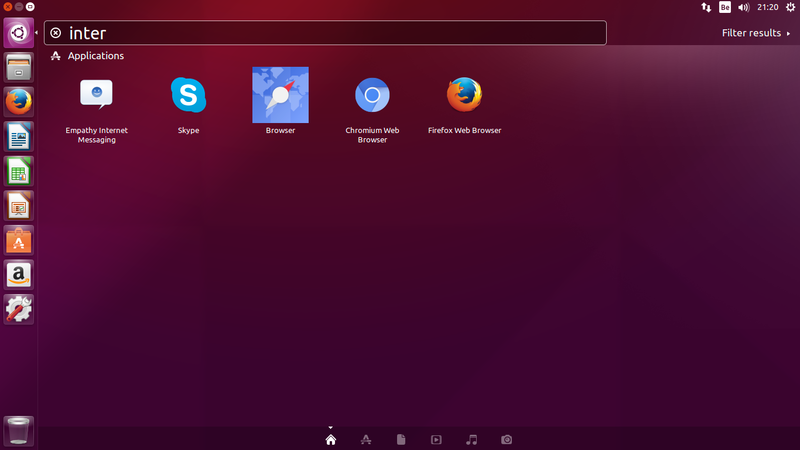 The startmenu has all the programs, listed according to their use; eg all programs for the Internet (such as browsers), for office work (word processing) .. See this screenshot of Ubuntu or Linux Mint starter. 2) Are all the programs available for the home user and / or business user? The most commonly used programs are standard as LibreOffice (excellent replacement for MS Office), Gimp photo editing, Inkscape and Scribus for desktop personal publishing, Skype, multiple browsers and the Tor browser for private browsing. In the software center are hundreds of programs available to install directly with one click: for kids, games, education and much more. For the Belgian user Eid Passport software preinstalled. 3) Can my children, mother / father or grandmother / father work with this system? Yes, the use is easy and simple for either children or the elderly. 4) Can I install software and change settings? It can from the software center, where hundreds of programs are installable. 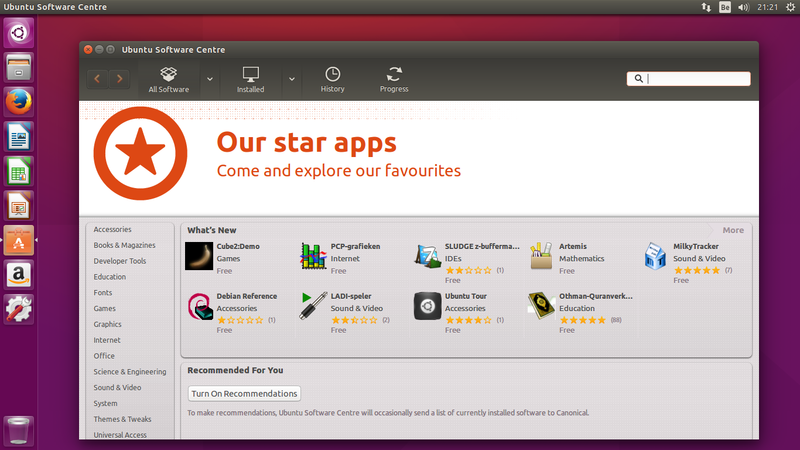 See this screenshot of ubuntu or linux-mint software center. 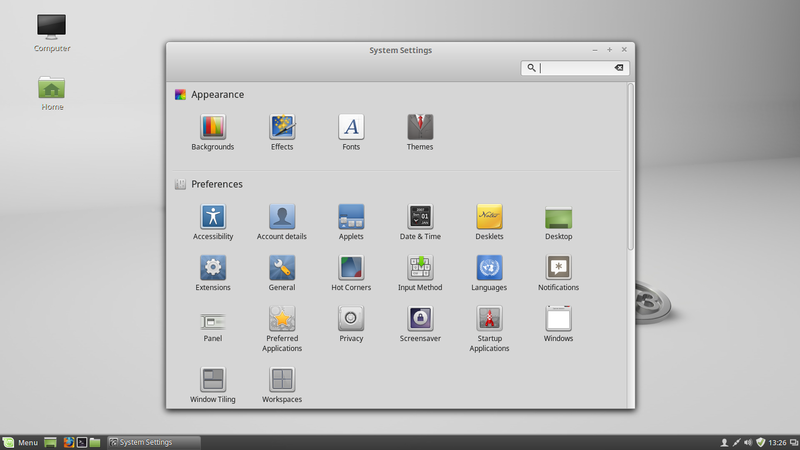 You can also customize just about everything in your software, here is a screenshot of the ubuntu and linux mint settings. Available settings are for all ages and for the visually impaired. 5) Can I surf wirelessly with an open source computer? 6) And printers and scanners? Printers and scanners are usually installed automatically, no drivers needed. Network printers are also found automatically. 7) Can I use USB sticks and / or camera to copy data and photos? After plugging in a USB drive, camera or SD card, content is displayed instantly, and you can copy data or pictures to your computer. 8) Is there really no firewall or virus scanner need? 9) What about my privacy? Behind open source is no company, so what you do on an open source computer remains on the computer. There is no data send to one or another company. And you can surf anonymously using the supplied Tor browser, so no one knows who or where you are. 10) Can I safely online banking? Yes, viruses, hackers and keyloggers do not Inpact on open source software. 11) What computer should I choose? There are so many models. For home use the cheapest models are adequate, open source does not need a lot of computing power, after all. And an open source computer will not slow down, even after years of use. Tip for choice: opt for an SSD hard drive or a hard disk drive SSD +, it's making the computer blazing fast. There is one-click re-installation option available. 13) If I have a hardware problem? Our open source computers have 2 year warranty. If there is a hardware problem, we will send a Bpost sticker so you can drop off your computer in the postoffice (free). After fixing, the pc is sent back to you. 14) Is there any assistance available? Sure, there is a help feature present in the software so that we can take over the system, or you can use telephone support or e-mail. 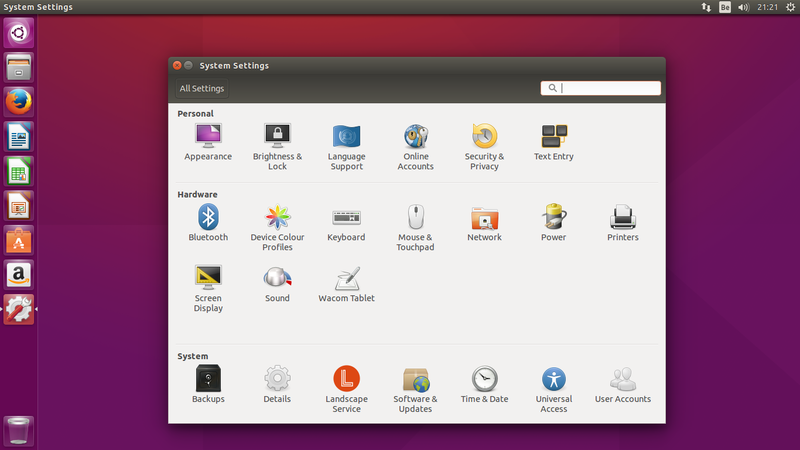 There's also a built-in help function in the open source operating system. All devices have a two-year limited hardware warranty. When hardware malfunction, a Bpost sticker will be send and you can deposit the unit (free) in the post office. After repair the computer is sent back to your address. 17)Can parts be replaced or added later ?. These are modular notebooks: the possibility to add more RAM memory and larger disks later on, or to have parts (including keyboard) replaced. Why are the prices of some notebooks and computers in your range a bit more expensive than the computers in the stores? Our computers are assembled on demand in the Netherlands (BTO) and Belgium (Intelco) and have a better quality and configurability (eg to replace internal components). Income tax and VAT stays in our economy. Notebooks from major retail chains come completely from China and are heavily sponsored by major software companies (such as anti-virus programs) to install their try-out software. Also, most computer brands pay a lower price for Windows 10 (about 25 USD per license) if the manufacturers promise to install Windows on every pc (for OEM contracts). More and more, Microsoft also oblige the manufacturers to configue the computer so that there is no way or a difficult way to install another operating system (Secure boot / UEFI). Some vendors also have a lesser warranty, such as Dell, they offer only 1 year warranty instead of the legal two years.